Ever since the first groundskeeper let a herd of sheep loose on a lawn, inventors have been coming up with better ways to cut grass and keep it neat. Today, homeowners have turf scientists who can tell them exactly how short to mow the grass in their yard and environmentalists who advertise the benefits of mulching and composting. The difference between the practical and the ideal can be expensive, though; it pays to know how to do both most efficiently. Cutting grass keeps it from setting seed, an event that would end its annual growth cycle. Repeatedly cutting grass encourages new top growth which encourages deeper root growth. Today’s lawn experts advise against cutting grass too short because it focuses all the plant’s energy on blade growth, actually retarding root growth, exposing the plant’s crown to summer heat. Most grasses grow best when cut from 2 to 3 inches long although Bermuda grass, Zoysia and bentgrass stay healthiest when mowed to around an inch in height. Cutting Kentucky bluegrass, fescues, ryegrasses and St. Augustine grass to a height of at least 2 inches not only helps roots grow but also shades crowns and discourages sun-loving weed growth. The theory behind mulching mowers is simple; they cut grass repeatedly instead of just once. Special double-level blades cut grass in two places. The grass circulates within a sealed housing as the blades cut it again and again. Mulching mowers can be expensive but standard mowers can be refitted with mulching blades. When the discharge chute is closed, the mower functions just like a mulching mower. Mulching returns the nutrients in grass clippings to the lawn. Grass blades contain nitrogen, phosphorus and potassium; a complete set of nutrients. According to a study at the University of Missouri, as much as 50 percent of the nitrogen from regular fertilization is removed when clippings are removed. Returning clippings to the lawn provides up to 25 percent of nitrogen needed by lawns, reducing the need for chemical fertilizer. Even a standard lawn mower can be a “grasscycling” mower if the blade is kept sharp and no more than one-third of the blade is removed during cutting. During seasons of fast growth or rainy periods, cut grass with the mower set higher than usual and then cut again at the regular setting to avoid clumping; during stretches of cool, damp weather when grass grows fast, mow lawns more frequently. Homeowners who insist on catching clippings can mulch, too. Clippings are heavy and difficult to spread but when composted with sawdust, wood chips or leaves makes a nitrogen-rich top dressing or mulch for garden use. What Is a Mulching Lawn Mower? 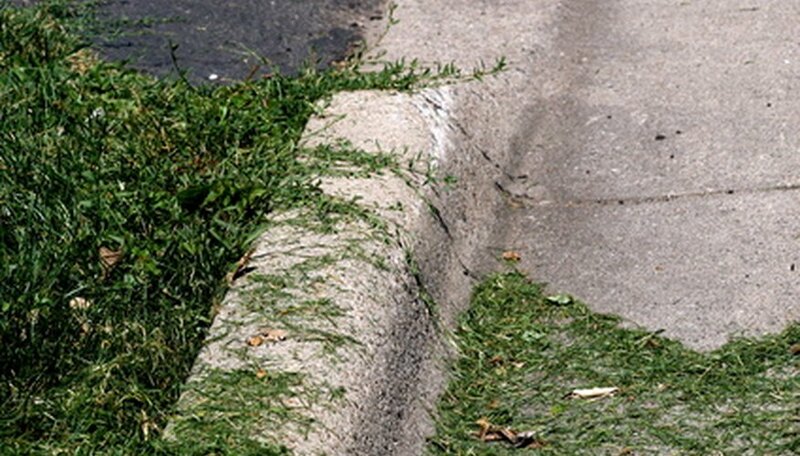 How Long Does Grass Need to Grow Before You Mow?